University of the Assumption (UA) Electronics Engineering students bagged the 2nd runner-up title during the Regional Inter-scholastic Quiz Show held in Tarlac City on September 22, 2018. 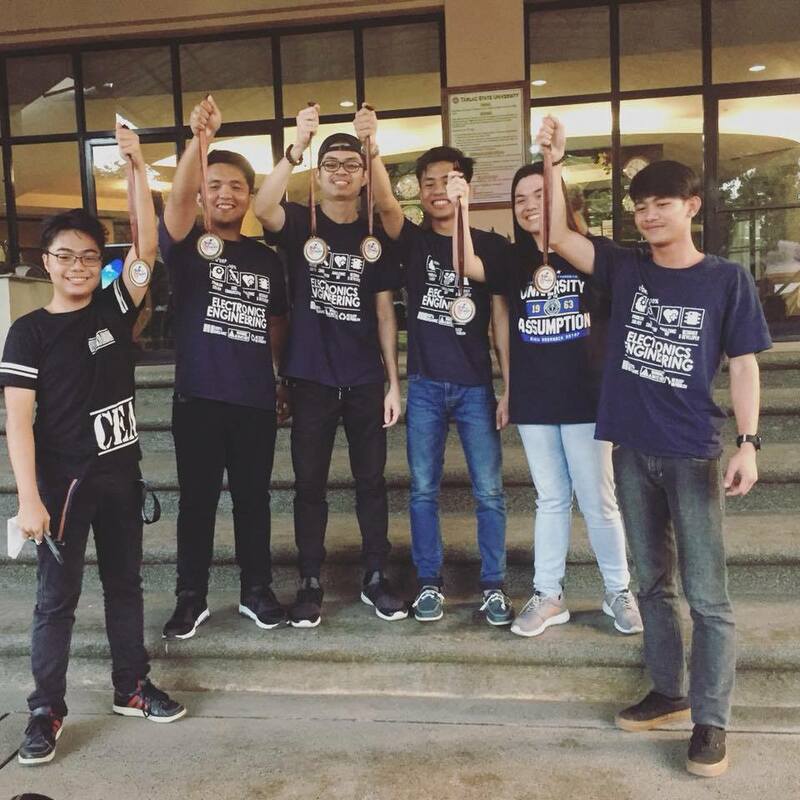 Fifth year students Mikko Caguiat, Jose Angelo Dimacali, Kenneth Sahm Gabasa, Jaime Francis Rivera, Joshua Ian Valerio, and fourth year student Khrys Cielo Marie Sunga competed against contestants coming from different colleges and universities in region 3. According to Engineer Katrina C. Pekson, ECT, the team’s teacher-coach, “the quiz is patterned after the ECE board exam, covering four subjects; Mathematics, Electronics, General Engineering and Applied Sciences, and Electronic Systems andTechnologies. Each subject has 4 objective type questions and 2 problem solving”. She added that “our students excelled most in the problem solving category,”. The Regional Inter-Scholastic Quiz Show is an annual event for the Institute of Electronics Engineers of the Philippines. The elimination round is hosted by the regional student chapters across the country. The top 2 schools to win the elimination round will qualify for the Annual Electronics Engineering Inter-Scholastic Quiz Show. This year’s theme is Magnus: Battle of the Greatest.